Bahrain beat Exiles in a thrilling West Asia Cup final last season. 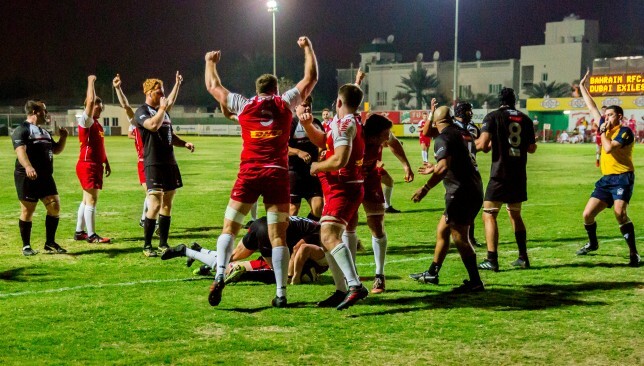 Bahrain could feasibly have one hand on the West Asia Premiership title this weekend when they take on rivals Abu Dhabi Harlequins in a mouthwatering top of the table clash in the UAE capital. The two sides have been a cut above the competition for the majority of the 2018/19 season and head into Friday’s seismic clash at Zayed Sports City 15 points clear of third-placed Jebel Ali Dragons. Quins have 40 points from eight wins and two defeats, with Bahrain four points ahead, having lost just once all term – a 31-20 defeat to Dubai Exiles back in October. “It’s a huge one this week for both teams,” Bahrain coach Louie Tonkin said. For Quins, it feels like a pivotal week. They came back after the Christmas and Dubai Sevens break last week with an emphatic 57-31 defeat of Exiles, impressive giving the mini hiatus and in the wake of head coach Mike McFarlane’s exit from the club. The Englishman has returned home for personal reasons, with the club set to release a statement in the coming days. Mike McFarlane has returned home after four years in charge of Quins. Win and they could go top of the table – with a bonus point. Lose and Bahrain will be heavy favourites to lift the trophy with four more games left this season. Quins assistant coach Rory Greene said: “We’re approaching the game in the same way as we always do. We respect everyone in the league and there are no easy games anymore even if some scores say otherwise. “Bahrain are the form side and we know we will have to be on top of our game to put them under pressure. However, our games are always really good, physical battles and we are expecting the same this weekend. Elsewhere, Dragons and Exiles meet at The Sevens. Dragons – shorn of former Wales and British & Irish Lions scrum-half Mike Phillips as coach, he left last week after six months – won last week under new coach Colin Philips. 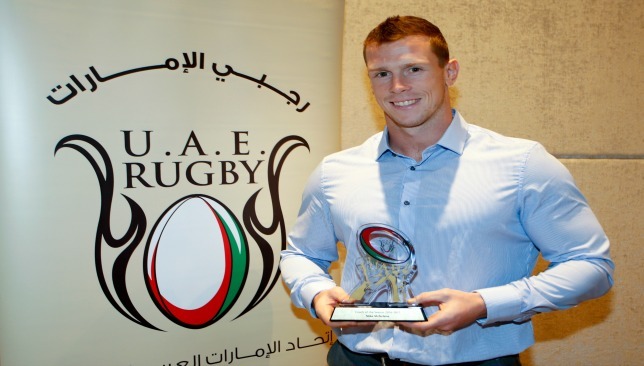 Exiles will hope for a victory while they will also be looking over their shoulder for Dubai Hurricanes, who are just a point behind and could leapfrog them into the coveted fourth spot with a win at Dubai Sports City over Eagles. Eagles are searching for a maiden win of the campaign, having lost 10 straight fixtures. Wales number eight Taulupe Faletau looks set to miss the Guinness Six Nations after breaking his arm again, according to reports. 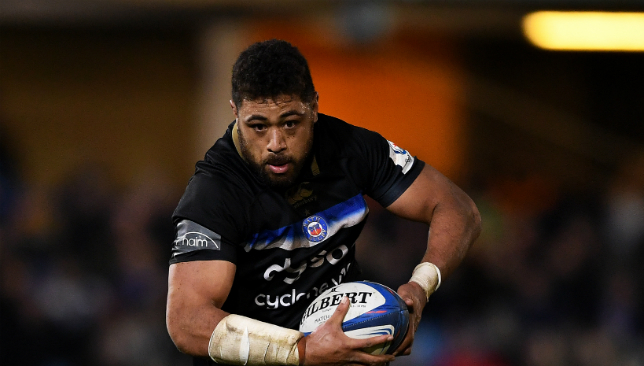 The 28-year-old returned for his club in Saturday’s 18-16 Heineken Champions Cup win over Wasps, but he has reportedly suffered another break. Wales begin their campaign away to France on February 1 and coach Warren Gatland is due to announce his squad at midday on Tuesday. Gatland has several other injury concerns, with Leigh Halfpenny set to miss the start of the tournament as he has not played since suffering concussion during the victory over Australia on November 10. Saracens star Liam Williams is likely to fill the full-back spot for the opener in Paris, with Italy providing Wales’ second opposition in Rome eight days later. The outside-half limped off with what Saints director of rugby Chris Boyd described as a “minor knee twist”, although Biggar is expected to be fit for Wales’ curtain-raiser. 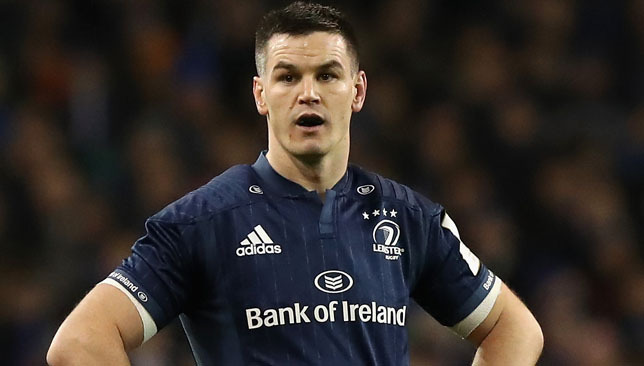 Ireland fly-half Johnny Sexton has been voted the Rugby Union Writers’ Club personality of the year for 2018. Sexton received the prestigious Pat Marshall award at the club’s annual dinner in central London following a remarkable 12 months that also saw him crowned world player of the year. The 33-year-old, who topped a poll of the RUWC’s 200-plus members, has acted as Ireland’s general during a run of 11 wins from 12 Tests including an historic victory over New Zealand on Irish soil. He was also instrumental in Leinster’s march to a fourth European title after Racing 92 were toppled in the Champions Cup final in May. Sexton succeeds England fly-half Owen Farrell as holder of the Pat Marshall trophy and follows in the footsteps of previous greats to have won such as Gareth Edwards, Jonah Lomu, Martin Johnson and Jonny Wilkinson. The list of five nominees in contention for the award was dominated by Ireland with head coach Joe Schmidt and tighthead prop Tadhg Furlong also present, as was Stuart Lancaster for his success as Leinster’s senior coach. The final name among the nominees was South Africa flanker Siya Kolisi, who last year became the first black player to captain the Springboks’ Test team.